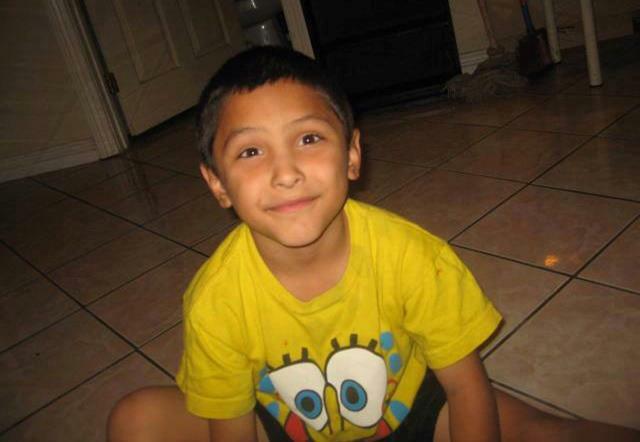 LOS ANGELES – The jury selection process got underway Tuesday for the trial of a Palmdale man who is charged, along with his girlfriend, with capital murder in the beating death of the woman’s 8-year-old son. The murder charge includes the special circumstance allegation of murder involving the infliction of torture. Prosecutors are seeking the death penalty against Aguirre and co- defendant Pearl Fernandez, 34, who will be tried separately. “It’s going to be an interesting case, believe me,” the judge told jurors, noting that the trial is expected to last about six to eight weeks. Los Angeles County Fire Department personnel were sent on May 22, 2013, to a home in the 200 block of East Avenue Q-10 in response to a call that the boy wasn’t breathing. He was declared brain-dead that day, but not taken off life support until two days later. The prosecution alleges that the child suffered a fractured skull, several broken ribs and was burned. Aguirre and Fernandez were indicted in July 2014 on a murder charge, along with the torture special circumstance allegation. The boy’s death triggered investigations into the county’s child welfare system and resulted in the filing of criminal charges of child abuse and falsifying public records against two former county social workers and two of their supervisors, who are due back in court Oct. 20 for a pretrial hearing. Attorneys plan to begin questioning prospective jurors in Aguirre’s case next Wednesday, with opening statements expected in mid-October. 3 comments for "Prospective jurors asked to fill out questionnaires in trial of Palmdale man charged in 8-year-old boy’s beating death"
So why didn’t G-d save Gabriel? Where was G-d while Gabriel was being tortured?